Are you worried or embarrassed about your expression lines -- forehead lines or frown lines? Is your face showing premature ageing, making you look older than you really are? Do people read your facial expressions wrongly because of unintended facial muscle over-activity which you find hard to control? Speak to us about softening and reducing your facial lines and wrinkles with Botox®. It is a non-surgical treatment used to reduce skin lines and wrinkles using a naturally occurring protein (BTX-A), produced by Clostridium Botulinum. Do you have thin lips or lines around your lips, then speak to us about Dermal Filler treatments to define lip contours and restore lip volume for more luscious and youthful lips. 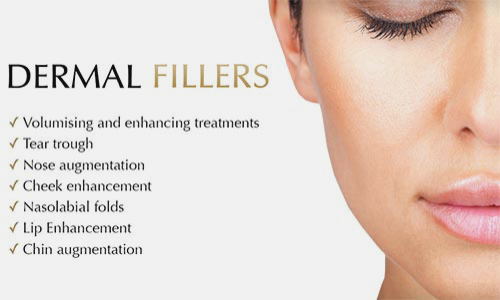 Dermal fillers are non-surgical cosmetic treatments used to define contours and restore lost volume to the face and lips resulting in a fuller and more youthful look. Dr. P Abban Ohene-Djan MSc (Res Dent) MA (Ed) BDS LDS RCS FGCPS, a highly experienced dental surgeon of 27 years with a vast range of skills particularly in advanced dental and aesthetics techniques. 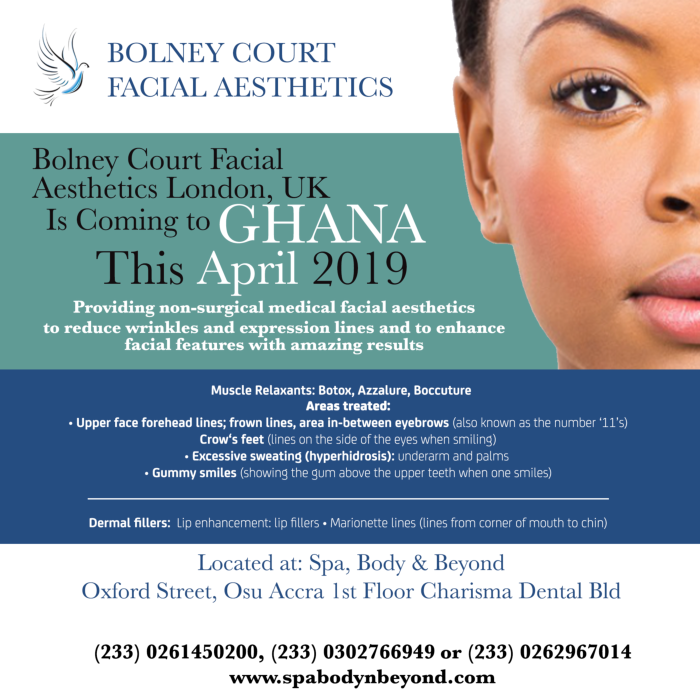 She is the Principal Dentist of Bolney Court Dental Surgery and Bolney Court Facial Aesthetics in London, who have a reputation for providing high quality dental and aesthetic care in London. She also visits and works in Ghana bringing her superior quality and advanced dental and aesthetic care to Ghana.